Founded in 1987, SpaceBound, Inc. is the Parent Company of SpaceBound Solutions and numerous other ventures. SpaceBound supplies products and provides services and solutions to Gov/Edu, B2B and retail customers. Since its founding, SpaceBound, Inc. has grown steadily, venturing into numerous markets. SpaceBound has established partnerships with manufacturers and others, allowing it to leverage its volume buying power to offer products and services at competitive prices. SpaceBound, Inc. continues to grow, making ‘The Inc. 5,000 List’ having ranked 3,265 out of the ‘5,000 Fastest-Growing Companies in America’ - the fourth time SpaceBound has been honored with this distinction. 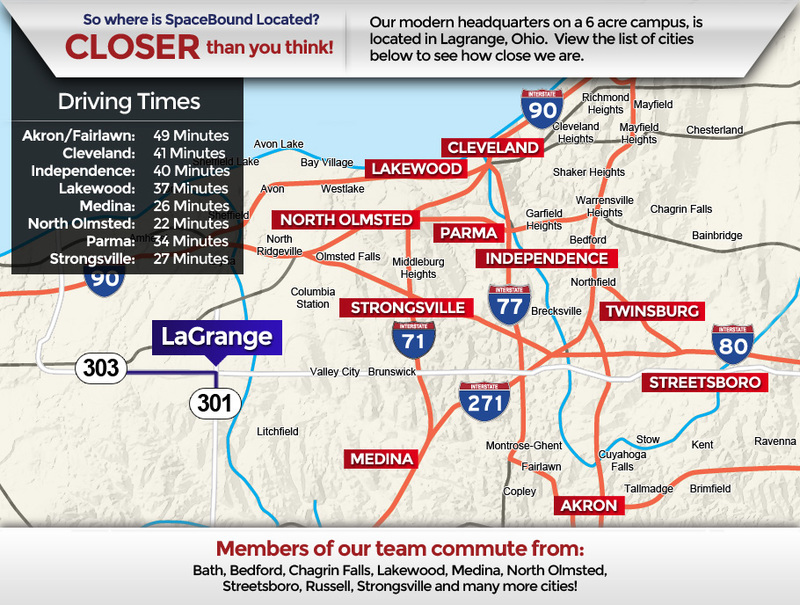 In addition – SpaceBound was recognized as a Case 'Weatherhead 100 Winner' - having ranked 17th out of the 100 fastest growing companies in Northeast Ohio. With a commitment to superior customer service and ability to meet the needs of our customers, SpaceBound has been able to remain a leader for over 30 years. SpaceBound is committed to providing quality customer service, top-notch products and services at competitive prices while delivering the highest customer satisfaction possible. Our various websites and professional representatives are available to help you with whatever inquiry you may have, in order to make sure your needs are met.